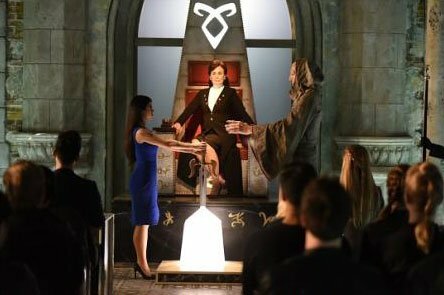 Freeform has unveiled an extended synopsis and promotional photo for episode 1×11 of Shadowhunters titled “Blood Calls to Blood,” which airs Tuesday, March 22, and finds Clary and Alec with some difficult decisions to make. Just a girl moving and shakin' in an ever growing world of brilliant entertainment. I wonder who this new “ally” is. Could it perhaps be Sebastian? It’s too soon for Sebastian! The show needs to pace itself before throwing more subplots at us.